Knowing your target audience is a vital element of successful copywriting. This affects the information contained in the messaging, its tone and voice, and the type of marketing materials used to target the different types of potential customers. Selling to business-to-business (B2B) and business-to-consumer (B2C) target markets takes their differences into account. Potential B2B customers expect some industry terminology and understanding of the specific industry being targeted. 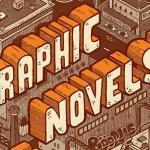 They feel comfortable with material that reveals familiarity with their language and industry. Being technical will not lose potential customers; technical information helps distinguish the product or service being offered from comparable products in the market. It also helps the purchasing customer persuade superiors about the value of the product or service being offered. Copywriters should check to see how comparable products and services are being marketed. The B2C audience includes a diverse range of potential customers, who are more or less knowledgeable about the product or services being marketed. The marketing material should accommodate the diversity of potential customers in this market. Typical language should be easy to understand by readers with an 8th or 9th grade reading level. The National Adult Literacy Surveys in 1992 and 2003 revealed that average adults read at 9th grade level. The 2013 data revealed little change from 2003. B2B marketers and copywriters should take into account that potential buyers are on a budget. The marketing of products and services should present how beneficial (compared to competitive products/services) and cost effective they are. Unlike B2C customers, B2B readers are not impulsive buyers. They want to have good reasoning to support their purchase decision because they may be answerable to superiors. A copywriter for a client serving the B2B market needs to provide copy that clients believe will reflect well on them with their employers. The marketing material should answer as many potential questions as possible to make it easier for purchasers to justify their choice. Potential B2C marketing customers make their own decisions and are not answerable to others. However, they also want to get value and have budgetary limits. Marketers understand that customers can make emotional decisions. Even with a discretionary product or service, marketing material aims to persuade potential customers they need or would benefit from what is being offered. 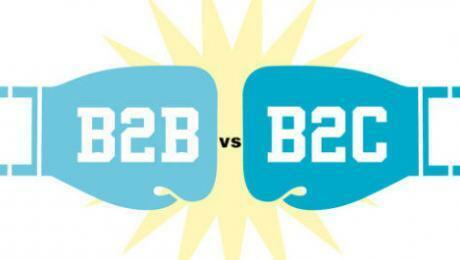 However, despite the general differences, B2B and B2C marketing approaches do have something in common. In both contexts, it is individuals who make the decisions. Copywriters need to write copy that appeals to potential individual consumers in either the B2B or B2C markets. 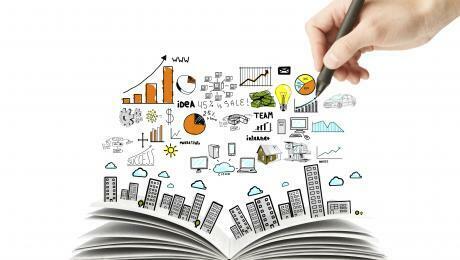 Do Your Business Writing Skills Need Improvement? There is value in writing well. Even if you are a multi-tasking, frequently-under-stress executive, making time for better business writing is worth it. It is not frivolous or tiresome; indeed, communicating effectively will benefit your career. See below for some tips to get you started. Your communications need to be engaging and plain-spoken, so that your style of composition does not burden busy people. Effective writing is a cultivated skill. Do not write prematurely; think first about what you want to communicate. People who think as they write do not convey their thoughts clearly. Their communications lack structure. Be thoughtful, and avoid haste. Consider what your reader (or readers) should think or know after receiving what you sent. Present the main idea first. Impactful business writing has clarity. Summarize your point in the beginning regardless of whether you write a memo, proposal, or an email. It will help you better craft your argument/communication. You will save your audience’s time, and your writing will stand out by being direct. Emails should be brief, clear, and specific. The beginning sentences should let the reader know about the rest of the message. You will capture the attention of busy professionals by giving them a brief summary of the contents in the opening of your message. Each word should matter. Be concise. Get rid of filler words and phrases. Grandiose language reflects verbosity, not intelligence. Convey the objective clearly. Use stronger action verbs, and remove prepositions for more direct language. Industry-specific jargon and acronyms may be necessary sometimes, but when used frequently they indicate laziness and bore the reader. Writing that is either stuffy or overly casual hits the wrong tone. Be natural. Write the content quickly, and edit it later. Go over what you write. Read your writing objectively, and remove unnecessary words and content. Readers pay less attention to verbose content. When appropriate, ask for feedback from colleagues, especially if you are writing a proposal, report, or an important memo. Other viewpoints will help you improve. If your business writing is not as clear as it should be, then focus on how to improve it. Put yourself in your recipient’s place, and consider whether what they will receive is what you wanted to convey. If you have the time, read some books about improving business writing. The IAPWE is excited to announce that our new blog is now live. 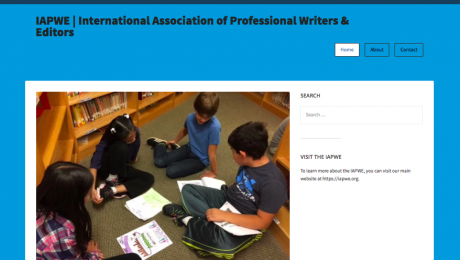 The IAPWE Blog will serve as an additional home for news and updates relating to both the IAPWE as well as other local organizations that are helping to support writers and editors in their communities. We will continue posting content on the blog on this site as well, however, for more frequent updates and information on local events throughout the world, you will want to check out our new IAPWE Blog. Fifty-four percent of B2B marketers and fifty percent of B2C marketers identified content production as their greatest challenge in the 2015 annual report of the Content Marketing Institute (CMI). This is good news for capable content writers looking for business in this market. With rates of $1 per word or more, the B2B writing market is worth checking out due to the growing appetite of businesses for increased content. CMI’s Benchmarks, Budgets, and Trends survey for 2016 revealed that seventy-six percent of marketers intended to produce more content in 2016 than they did in 2015. Fifty-one percent intended to boost their budgets, and for sixty percent content production remained their top challenge. This indicates a booming market for writers who are skilled in writing content to sell services and/or products to other businesses and to write engaging copy about business problems. Since the target audience represents their employers, writers need to have the information required to make the purchase decision and/or compare the offered service/product to other comparable services/products. 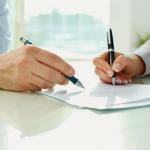 Potential purchasers need information they can use to justify their selection among companies. This may include background about the supplier, the price, technical specifications, and any other relevant information. The B2B audience values information, including statistics, about the return on investment from purchasing the services/products being offered. This audience receives information today through a variety of mediums. B2B writing involves press releases, ads, and other marketing materials including articles, white papers, case studies, and blog posts on the company’s website or wherever the potential audience can be reached. 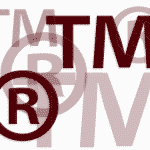 Each kind of for-business writing has a standard format and best practice within its genre. Using social media to connect with the target audience is part of the process. 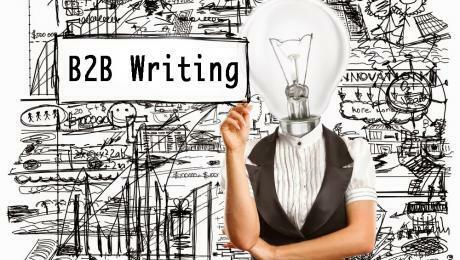 Desirable B2B writers know how to write convincing content that is relatable, engaging, and readable. They know how the leadership, marketers, sales force, and customer service departments collaborate to serve the interests of the business. 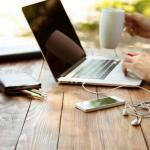 B2B writers are comfortable with internet-based research. They know how to search online to find relevant information and familiarize themselves with the terminology used by businesses in specific sectors. Writing search engine optimized content to attract online traffic, including basic knowledge of SEO keywords, is part of the skill set that effective writers need to become successful in this niche market. 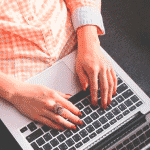 With hundreds of thousands of U.S. businesses having websites and/or marketing budgets, there is no shortage of potential clients for interested content writers. If you have the chops, go ahead and pitch your talents to prospective companies. If you are new to the market, learn how to develop your B2B content writing skills before you approach potential clients. How do playwrights effectively write their story for the theatre? There are many steps to that process, and the most important is understanding the medium. This is because the play is the production version of the text as interpreted by the director, choreographer, actors, set, sound, lighting and costume designers, dancers, musicians, technicians, and any other collaborators who participate in realizing the blueprint created by the playwright. The theatrical presentation of the play is much more than the actual content of the play. The written text contains the characters’ dialogue and some directions about the characters’ actions. The collaboration of the theatre professionals with the playwright presents the text in its theatrical form for viewing by an audience. The playwright’s vision controls the play, but the production is a collectively created product. The content of the play provides the foundation on which the theatre professionals base the live experience. The director usually leads the coordination of this creative effort. While the written content does not change, the performance can change as it is of the moment. This can lead to innovative interpretations such as the audience participation (immersion) in a 2013 adaptation of Kafka’s The Trial at the Shoreditch Town Hall in England. In fact, live theatre adopting aspects of the video game industry’s immersion technique is an innovation we will likely see more of in the future. If you are thinking of writing a play, get to know the limitations of the theatre. Experience the process of creating theatrical productions. Watch rehearsals; participate in a production; take a course, if you can. Familiarize yourself with the many limitations of live performance in this medium, including time and space. Your play will have more chance to be performed if it has no more than six characters. This is because ensemble groups that have small budgets and few actors perform most plays today. The setting should be easy for limited budgets. Lighting is one of the tools used to highlight mood in the performance of a play. 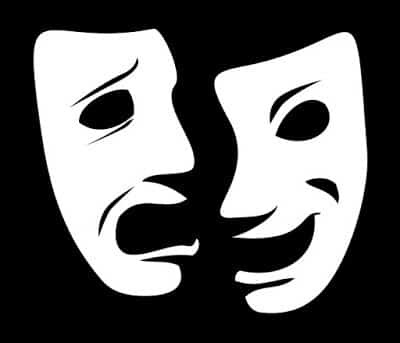 Blocking and movement can also be used to depict moods. The more you know about the dynamics and elements of the theatre, the better prepared you will be to write for this medium. Becoming familiar with the theatre setting will help you deftly write content that fluidly comes to life in the theatrical production.